In medical malpractice cases, it is sometimes found that an emergency room physician may be given a little bit more understanding than surgeons or other doctors. How then is gross negligence determined? While most medical care is given with the proper amount of time necessary to contemplate the right course of action, an emergency room physician is often not afforded the luxury of time. Medical professionals employed to handle medical emergencies are often forced to make split second decisions in order to save a life. This is not to say that emergency room staff should not be held liable for gross negligence. If you were not treated properly during a recent visit to your local ER, than contact a Missouri medical malpractice attorney. They will help you determine if you are entitled to compensation or if the staff really did their absolute best to treat you under the circumstances. There are many things that could go wrong for a patient who is being seen in an emergency room environment. Often times they are crowded places, full of sick and injured people all in need of immediate care. The staff is generally tired and most likely trying to do their utmost in these chaotic conditions. The most common claims for medical malpractice in an emergency room are: misdiagnosis, wrong prescription medicine administered or wrong dosage, misread medical records, discharge of a patient who is still ill, and failure to timely treat a patient. The failure to timely treat a patient usually falls on the shoulders of the triage nurse. Standard procedure dictates that every patient who enters an ER be seen by a nurse as soon as possible. This nurse should be specially trained to prioritize patients according to the severity of their condition. If unable to correctly determine how ill a patient is, the nurse has the responsibility to consult with a physician before making a decision on when the patient should be seen. A Kansas City teenager lost one of his legs due to the triage nurse failing to note a tear in one of the major arteries. He had been involved in a vehicular accident but waited over four hours in the lobby of the ER before being seen by a physician. Had the triage staff followed the protocol of sending accident victims in promptly, the tear could have been diagnosed and fixed before blood circulation was completely lost. Car accidents usually result in multiple injuries that are not always evident at first glance. The nurse in this case was negligent in not following the standard of care for such patients and allowing him to wait too long. Emergency room negligence can be a tricky thing to prove. It is hard to say how any one doctor would act during the life and death scenarios they are faced with during the course of their day. While an honest mistake may be overlooked, if there was a deliberate action deviating from the known standard of care, then that physician or medical personnel should be forced to compensate for the result. 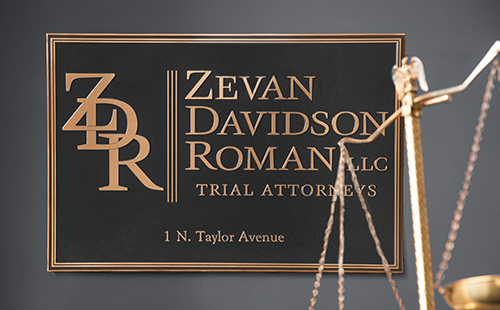 If you feel that you were the victim of negligence during a recent trip to the ER, Zevan and Davidson Law Firm may be able to help you. Call us today at (314) 588-2700.